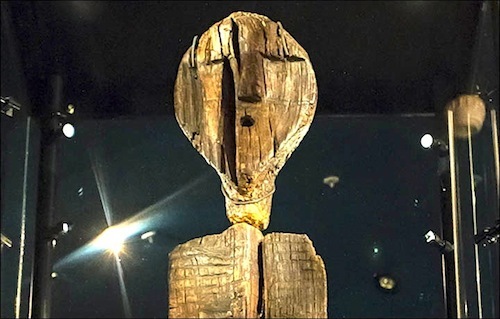 On a cold January 24 in 1894 in the Shigir area of the Ural Mountains in Russia was found the most amazing wood Stone Age sculpture ever unearthed—the Shigir Idol. It was buried or had found its way into a peat bog and there it was perfectly preserved for the last 11,000 years! Many preserved objects have been found in the bogospheres of the world. Ancient people in Ireland apparently hid their butter in bogs. More than 270 wooden kegs containing “bog butter” have been dragged from the Olde Sod. 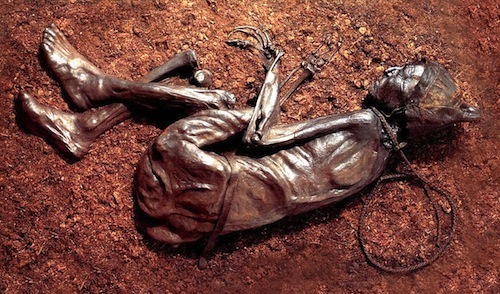 Hundred-year-old and thousand-year-old bodies with their skin, organs, clothing and accoutrements in tact have been found in peat bogs. 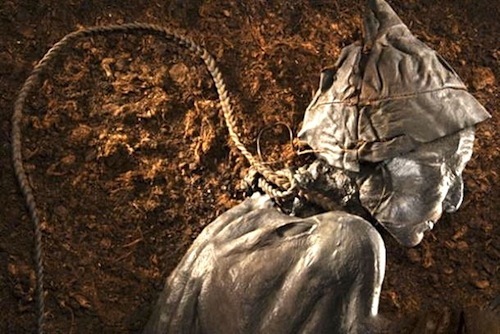 The Tollund Man, found bog-mummified in 1950 on the Jutland Peninsula in Denmark, lived in c. 400 BC. The noose around his neck indicates he was either sacrificed to a god or was condemned as a criminal. 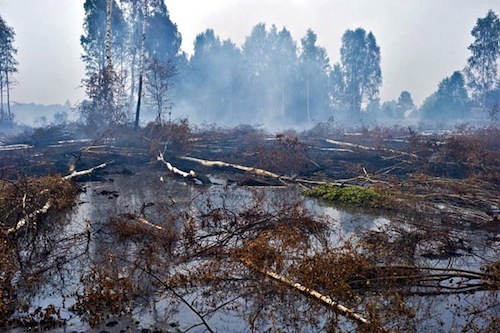 Peat bogs are composed of bitumen, humic acid, lignin-like matter, water-soluble matter and spaghnum moss, all elements which combine to preserve indefinitely anything that finds its way into a bog. The Shingir Idol was found in a bog about 62 miles from the nearest city of Yekaterinburg, Russia. Professor D.I. Lobanov combined the wooden pieces into a sculpture that was 9’2” tall. 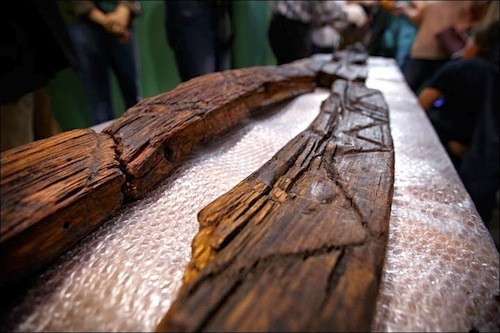 20 years later in 1914 archeologist Vladimir Tolmachev used the extra wooden fragments to construct what he considered the original height of 17’4”. Recent tests, using Accelerated Mass Spectrometry, on the Idol have concluded it is 11,000 years old. That would make the Idol about three times older than the pyramids and over twice as old as Stonehenge. Stonehenge and the pyramids are mute memorials to the ingenuity and genius of man in whatever age he has lived. But the Shigir Idol is a special class of ancient craftsmanship, a single idol or totem made by a man or a group of men who wanted something that was enduring and precious to them to be built. 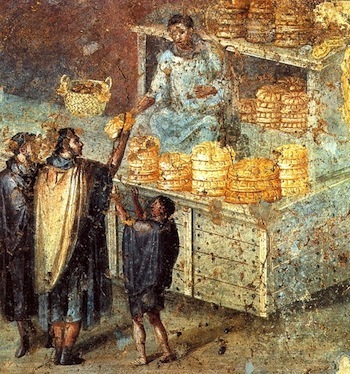 They, of course, could never have imagined that 11,000 years later his/their work would be displayed and would be examined by the finest minds in the world as a work of art. 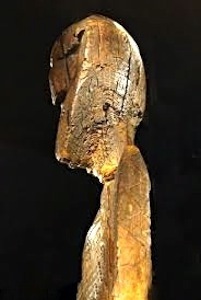 The Shigir Idol was carved by a stone tool from a large piece of larch wood that has been dated by its tree rings to be a 159 year-old tree at that time. The conifer Larix sukaczewii, also known as the Russian larch, is native to the Ural Mountains. 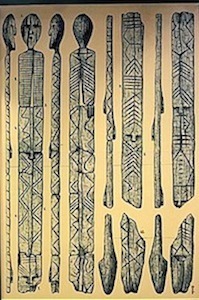 The body of the Idol is flat with a series of horizontal lines and other geometrical markings (chevrons, herring-bone, etc.) 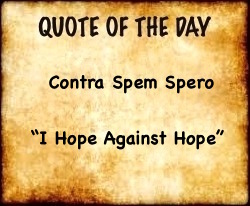 that scientists believe had a meaning at one time but have not been deciphered. In addition, the Idol seems to have seven faces carved here and there on its surface. To those who have seen the sculpture and its old, enduring face, it is amazing, awe-inspiring and evokes feelings of wonder and sympathy. 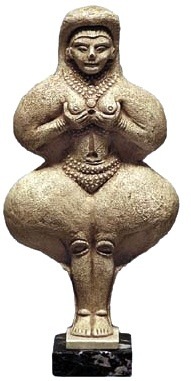 Small portable clay statue of Astarte/Ishtar/Diana (c. 1500 BC) similar in size/style to Rachel’s theft. Here Jacob is going back to Canaan to be with his father Isaac, Abraham’s son. Jacob’s wife Rachel was obviously not secure with the One God of her husband and his family, so she stole her father’s small portable images of local gods. There are numerous passages in the Old Testament denouncing idols by the writers who believed in the One True God.